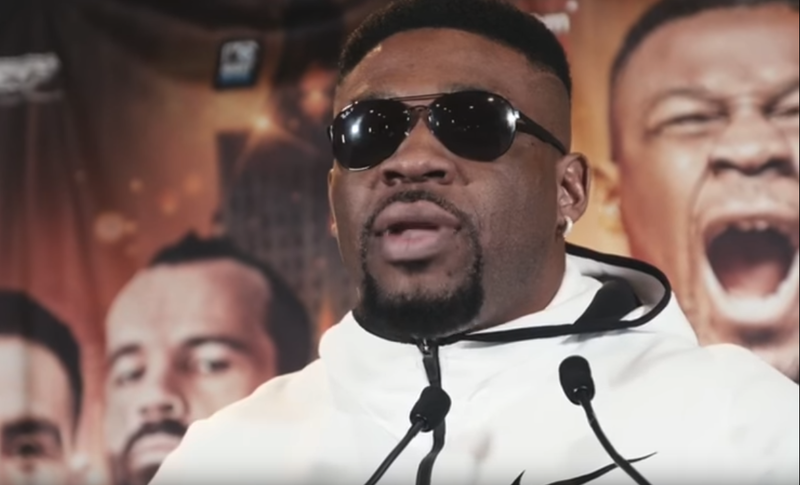 With his own version of a heavyweight title potentially on the horizon, Jarrell Miller continues to call out Anthony Joshua. Miller will travel to the state of Kansas for his November 17th return to the ring against Bogdan Dinu, on a card shared with WBA/IBF middleweight champion Clarissa Shields’ defense against Hannah Rankin. “All I know is by September I want his head on a platter. I am going to continue to do what I do and turn AJ into Apple Jacks,” Miller stated. While the biggest fight in the heavyweight division is a unification fight between Joshua and WBC champion Deontay Wilder. “I don’t know. I think Deontay has the power for it and AJ is definitely scared of Deontay and that one punch power, but I can’t worry about that. All I want is my shot to put him in the dirt. That is it,” Miller told BoxingScene.com. While he’s come into his last few fights over 300 pounds, Miller contends that his conditioning is second to none. “They still can’t beat me. I have the best conditioning in the heavyweight division. I throw the most punches in the division and I come forward. I got better movement than these fighters. They can say what they want to say,” Miller explained. If he were to face Wilder, who weighs just under 100 pounds less than the New York native, Miller feels that he’d be able to break Wilder before the scorecards. “He got chicken legs. You know what you do with chicken legs? Break them in half and dip them in gravy. That is what we do with chicken legs,” Miller quipped.